Derek Climpson BSc, Lic Ac., BAcC, MSTAT. Derek has been in practice for 33 years as a Teacher of the Alexander Technique. He graduated from the 3 year, fulltime training as a Teacher of the Alexander Technique in London and has been a teaching member of STAT (Society of Teachers of the Alexander Technique) since 1983. Members of STAT are required to adhere to a code of professional conduct, to hold professional indemnity insurance and to have undergone a CRB check. A severe whiplash injury in a car accident which did not respond to medication/physio or manipulative therapies over an 18 month period, caused Derek to try the Alexander Technique on the recommendation of a friend – with quick and favourable results – and this in turn led to a satisfying change of career. 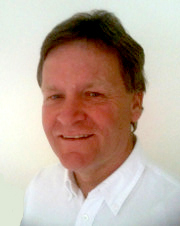 Derek now runs practices in Brentwood, Chelmsford and Leigh-on-Sea and is also a British Association of Performing Arts (BAPAM) registered Alexander Technique Teacher. He has given talks to groups and workshops throughout Essex, including staff at Runwell Hospital and the Society of Chartered Physiotherapists at Southend University Hospital. Derek is also a qualified Acupuncturist, holding a degree in Traditional Acupuncture and is a member of the British Acupuncture Council (BAcC) and practises at the same three locations in Essex. For further details please see www.acupunctureinessex.co.uk.